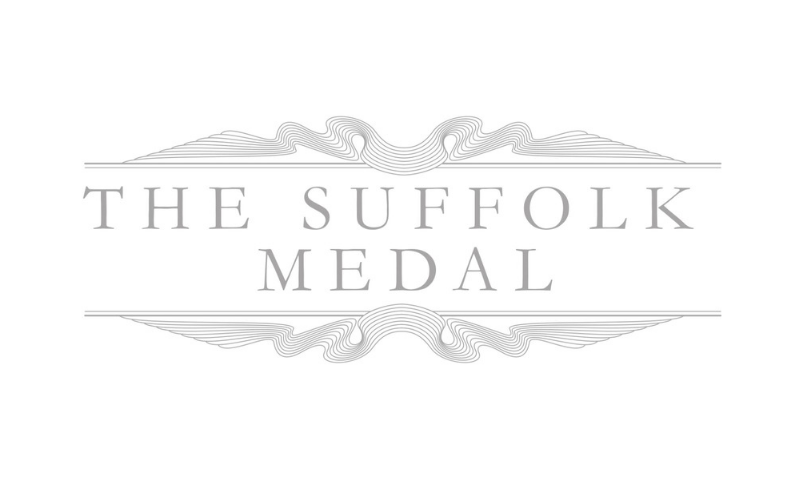 The purpose of The Suffolk Medal is to recognise, reward and champion the exceptional contributions of Suffolk people that have made a fundamental, measurable and lasting difference to the lives of people in our county and absolutely key to its success is that everyone in Suffolk is invited to play their part in putting names forward. I feel honoured to be creating The Suffolk Medal but it’s also a challenge. I hope the medal will have a bit of what I feel about our little bit of sea, and the fact the sea is our edge of England. It is also intended that those honoured every year will have their names recorded and their stories told in perpetuity, in an exciting interactive instillation at the new Suffolk Records Office – The Hold. The panel, chaired by Suffolk’s Lord Lieutenant, currently includes representatives from business, the public sector and charities sectors, and they are looking for nominations from individuals from all areas of Suffolk and across all activities of local, historic and future importance to the county. Those eligible for consideration will have gone above and beyond expectations in making a significant individual contribution to their community and, indeed, will have made a similar impact on the Suffolk of today as the finest achievements of the very best of our forebears who inspired Suffolk in the past. A clear demonstration of outstanding volunteering, either as a single feat, an accumulation of personal impact over a period of time or, indeed, a lifetime of selfless service will all be key elements for consideration. The medal has been founded, and will continue to be funded, by private donations from Suffolk people to the High Sheriff’s Fund managed by Suffolk Community Foundation. The ownership, organisation and communications for the medal will remain associated with this fund and supported by the Foundation. The decision making will be led by a representative and independent panel of Suffolk leaders. We have Suffolk Day to celebrate our glorious county, and now we have The Suffolk Medal which will allow us to reward extraordinary people who do wonderful things in our community. It’s a brilliant idea. It will be really good to see a really diverse group of ordinary people living their lives but have an ideal, a passion for Suffolk, an idea that has changed peoples lives in Suffolk. Business makes a huge contribution to people’s lives here in Suffolk, and The Suffolk Medal is also here to celebrate those people in business who act as civic leaders to support community development. The Suffolk Medal is a wonderful idea and these awards will really recognise those people who have made such a huge difference to our society in the past and who will continue to do so in the future.